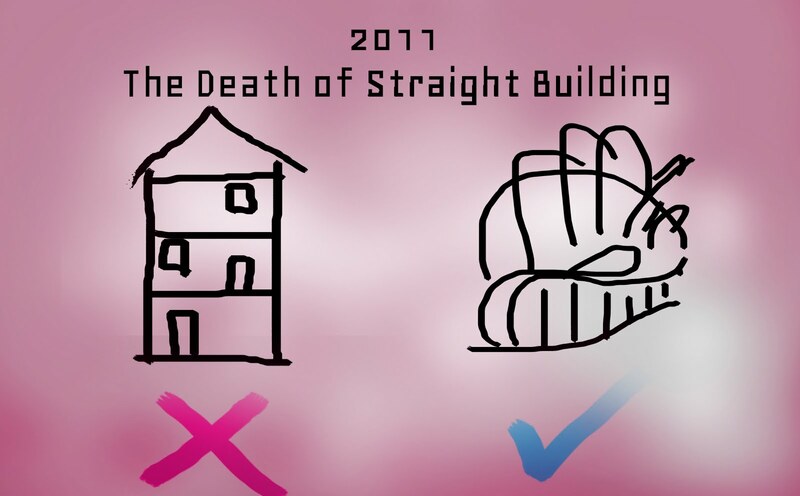 In a few more years, with the over exaggerated bandwagon of sustainable building, advancement, and availability of computer software and skills, the overrated building which jumps around, there will be no straight building anymore existed in the drawing board of a student of architecture. Architecture no longer spaces which affects social circumstances, but mere imagery of taste and a plaything of the one who draws. The intention is longer questions because the word 'innovative' gets in the way, and whatever has been produced will be done the opposite way, it is just like defying the gravity. But yet, the only appearance changed, method and procedure are still the same. There will be no drawing boards with a plain white background, as it is perceived as an incomplete work, what more can it do to draw attention? The overly overwhelmed, seeping miasma of the curve, the fold, and the twist come out of nowhere while space is not understood. The part-whole relationship is never understood.